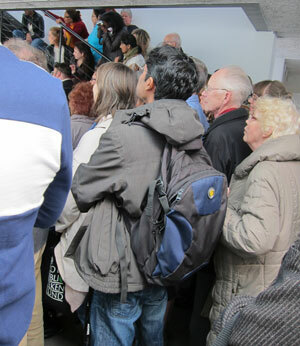 A large crowd of people joined the Indian cultural programme/Mela that was held at Lunds konsthall on Saturday 14th April 2012, 14.00–17.00. 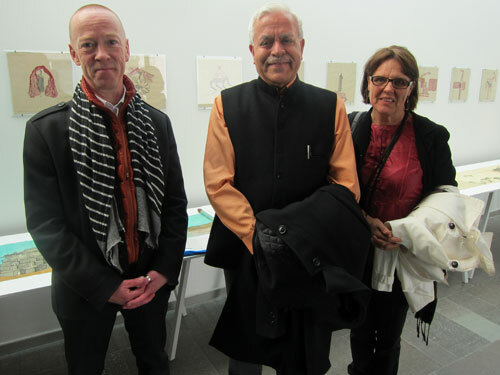 The programme was jointly organized by Konsthallen, SASNET, Lunds kommun/Kulturskolan and ABF, and was held in connection with an Indian art exhibition at Lunds konsthall, an exhibition entitled Social Fabric, curated by Grant Watson, at Lunds konsthall from 5 April till 27 May. 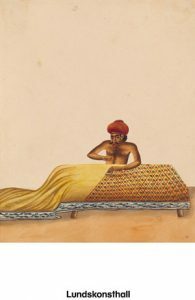 The exhibition, to a large extent focusing on textile production in India, includes works by prominent Indian artists such as Archana Hande, The Otholith Group, Sudhir Patwardan, Raqs Media Collective. It also includes film programmes by visual artists Ashim Ahluwalia, Anjali Monteiro, K.P. Jayasankar, Madhusree Dutta, Tushar Joag, and Anand Patwardhan. 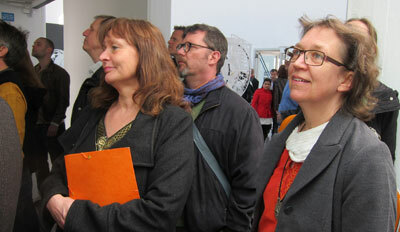 More information about the exhibition (in Swedish). The 14th April event, coinciding with the Indian and Bengali New Year, Baisakh, was introduced by Director Ms. Åsa Nacking, and SASNET’s deputy director Lars Eklund. Indian Ambassador H.E. Mr. Ashok Sajjanhar participated in the 14th April event at Lunds konsthall, and held an introductory speech focusing on Indo-Swedish strong and growing relations especially in the field of business. He was followed by Senior Lecturer Tania Alyhr from Konstfack University College of Arts, Crafts and Design in Stockholm, who lectured on ”Textile Life in Western India”. She was invited to the Lund event by SASNET and ABF. In her colourful presentation with a lot of slides, Tania talked about her encounter with India, starting in the mid-1990s with an invitation to be a guest teacher of textiles at the National Institute of Design (NID) in Ahmedabad, Gujarat. Little did Tania realise then that this was going to turn her into a part time tour guide to textile life in western India for years to come. The breathtaking colors of India, the mass of textile expressions and crafts, the multitude of uses of textiles, the beauty and the variety of Indian clothing and the highly skilled, thorough and highly dedicated craftspeople who perform their work in such a meticulous way, it all became an almost consecrated experience. 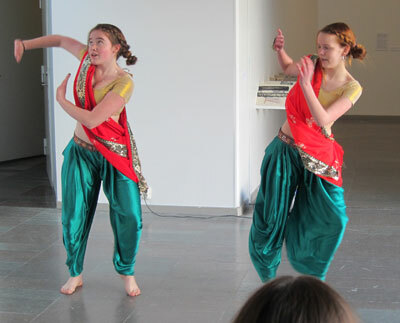 The mela programme also included joyful Bollywood dance performances, and an Indian drama presentation – ”Tigern och den gamle mannen”, by Dadi Pudumje (based on an Indian folktale), performed by students at Kulturskolan Lund. 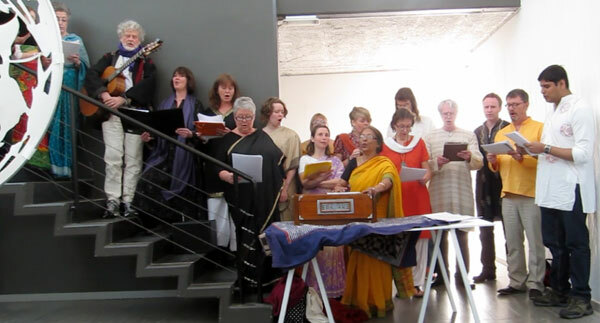 Finally, the newly launched Indian Choir of Lund, led by Bubu Munshi Eklund and Thomas Wiehe, had its premiere performance. The choir, all dressed in traditional Indian dress, has been formed by the Lund based Association for Indo-Swedish Cultural Exchange, and it sang for a large audience both a couple of semi-classical compositions by the Nobel Laureate Rabindranath Tagore in Bengali, and a number of bhajans in Sanskrit. (Photo above). Torsten Schenlaer, Director of Culture at Lunds kommun, along with H E Ashok Sajjamhar, Indian Ambassador to Sweden, and Anna Lindberg, SASNET Director. In the crowd, Yvonne Söderberg, Erik Åhlfelt and Pia Holmberg. 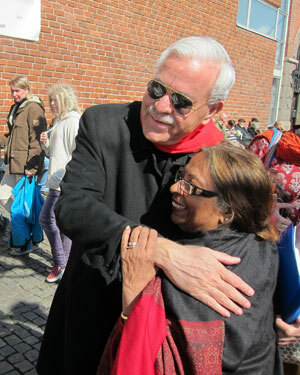 Ambassador Sajjanhar with Bubu Munshi Eklund. 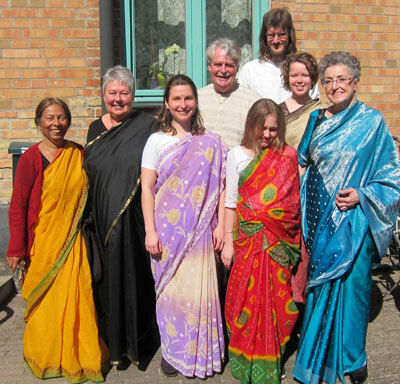 Part of the Indian Choir in Lund. Bollywood dance performance by students from Kulturskolan Lund.